What do you need to enhance your office and business telecoms systems? The Union freedom PBX can offer enhanced flexibility to you and your employees, the benefits of the system are essential to your telecoms and communications for running your day to day business needs. 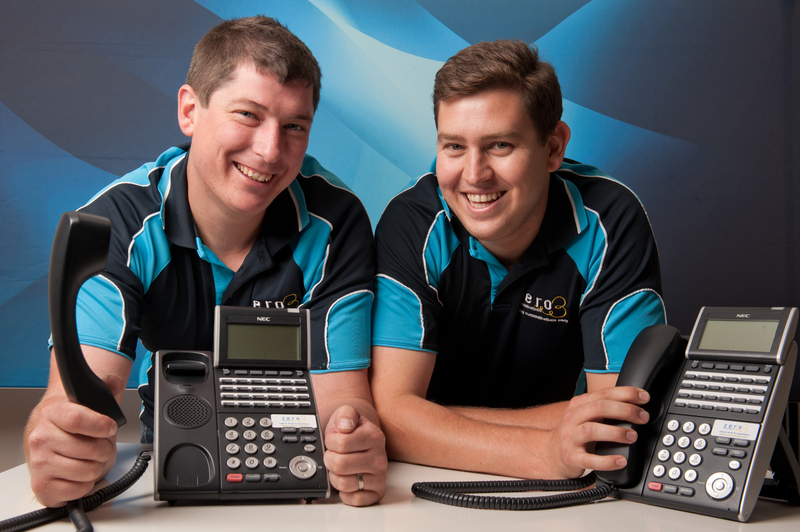 The union Freedom PBX can combine existing analog telephones systems with a digital phone system. You may have heard of the term VoIP (voice over IP) and possibly used it without knowing in a basic form of it, Skype is a protocol software that has been around a very long time and has been available at the forefront of every platform for many years firstly on computers then as an app for iPhone and Android Phones. VoIP in it’s the best environment can be more enhanced than Skype, so how does it get implemented in your business? The Union Freedom PBX will host dedicated landline numbers in your office connecting extensions in your office to be able to receive and place phone calls using your internet. Traditionally VoIP calls have been cheaper than standard telephone line calls but call prices are changing in telecoms, so it is not the case anymore, that said how would use a VoIP system to benefit your office or business? Below is a list of key benefits of a digital PBX telephone system. Traditionally to receive 2 calls at the same time for the 1 telephone number you would have to use a multi-line this would involve paying for 2 line rentals as you would need 2 physical lines to receive calls. Then a PABX system would be needed to organize the calls to traditional phone handsets. ISDN30 would have been ordered to place upto 30 simultaneous calls. Sip Trunks also can place many calls at the same time, some VoIP companies charge extra per channel, a channel = 1 call, The Union Freedom PBX does not you can have unlimited channels, so there is no extra line rental for your land-line telephone number. Lets be clear here, the new hybrid systems by companies like Panasonic can have many features like music on hold, sip trunks and others to mention a few but these are add-ons that have to be purchased and they are not inexpensive either. A purely digital PBX has multiple features that are built in. This is just a quick summary of the benefits of a feature-rich digital PBX. Other benefits are being able to host multiple locations and numbers that reflect these. For example, you have an office in London and an office in Oxford, you would like to link the extensions between the two offices, the PBX is located in your office in London, the employees need to communicate with each other from each office. They simply are connected as local users of each office, so possibly the sales team are in London and the accounts team are in Oxford, the agent in London simply needs to dial extension 300 to speak to an agent in Oxford, or call transfer an incoming call, they simply transfer to 300 at no extra cost. Incoming numbers for the office can be assigned with a local London number and the Oxford Office can also have its own local number too. Extensions for the office telephone system are not just limited to being in one of the office locations, an extension could be in your home office too, allowing you to work from home whilst being connected to the office, you may wish to dial in to the office whilst on holiday, simply with the use of a VPN you can connect when in a WiFi zone with a smart phone app. Always still receiving voicemail messages in your email inbox. You may have an existing analog PaBX unit in your office system and a complete change over would just be to much of a concern and worry. The Union Freedom can be added on to the old system combining old telephone numbers to the new VoIP ones. Broadband speed is an issue only if speeds are low, simply put, if you think that data usage is high on your network the recommended way to assure best quality calls is to have a second broadband line which is not used by computers on the network. ATA’s (Analogue telephone adapters) can be used to plug in existing telephones, to get the most out of the system IP telephones give the best results and usage. The Union Freedom PBX is ideally suited to your small office phone system requirements for office agents of anything from 1 to 100 employees, it can help when you run your business from multiple locations or from a central office location. It can behave either as an IP VoIP PBX or an Analogue PBX. Drain Cleaning Charlotte NC is important to know where and how you can shut off the water supply for your home. In case of emergency, knowing how to shut the water off can prevent a problem becoming a disaster. All able members of the family should know where valves are and in what direction they are to be turned. If your home has numerous valves and your plumbing system complex, a tag or some paint can be used to identify separate valves. Valve charts can be employed for houses with several bathrooms. The most important valve in the home will shut off the main water supply for the whole plumbing system. This valve is often situated on the same house side as the water meter, and may be found under the kitchen sink or stairs, or in the basement/cellar. As the valve is not in frequent use, it is a good idea to lightly lubricate around the valve handle one or twice annually. This will prevent it sticking from corrosion and being hard to turn for older or younger members of the household. As well as the main shut off valve to the water supply, many houses have separate stopcocks for individual appliances like water heaters and washers. These will be located near the appliance on the supply lines below, and allow for easier repairs without affecting the rest of the house. Water supplied to the house is delivered with quite high mains pressure. Drinking water to the kitchen sink is usually fed from the rising mains of the cold water storage cistern. Other taps and fittings receive an indirect supply by a low pressure gravity-fed system. If your hot or cold tap runs from the cistern, there will be a mini stopcock by the cold water tank. With this turned off, taps can be turned on to drain the remaining water. Many individuals are discussing this specific home “swim spas”. They really are the most recent rage of water darlings, both the youthful and the old. For the individuals who aren’t that well-known yet about swim spas, read on and discover increasingly about this brilliant fun exercise system everybody is longing about. What do you like most about Australian plunge pools? Generally we use pools to work out and work out. We hang by the swimming pool to invest energy with family and companions. We can play around in its shallow pieces. What don’t you like about a swimming pool? As a rule, it’s the expense of having one made and the problem of its support. I, myself abhor managing that too. What do you like most about having hot tubs? We more often than not utilize tubs to unwind, may it be distant from everyone else or with others. Competitors utilize hot tubs to quiet their muscles and improve blood dissemination. Some utilization hot tubs as a therapeutic apparatus, generally through improving blood stream. Presently, what don’t we like about them? It’s generally simply the way that it’s unreasonably little for us to move around when we are inside. You simply stay there and hold up until time flies. According to the cost, they are really simpler on the pocket. With regards to upkeep, hot tubs are not exactly as difficult to keep up than a pool. So imagine a scenario where you are given the decision to have the best of both the swimming pool and the hot tub. Think about an extended tub partitioned into two sections, one would have the hot tub usefulness and the other would enable you to swim and work out? The expense would simply be a little over the cost of a tub and a long way from the costly expense of having a pool made. With upkeep techniques that are so natural to do. This is the swim spa. Who wouldn’t need it? Swim spas are essentially a swimming pool and a hot tub folded into one. By what means would this be able to occur? A swimming pool is typically too enormous and too costly to even think about making and keep up. A hot tub then again may cost perfectly however it might be excessively little. The swim spa is a blend of the best attributes of the hot tub and the swimming pool. Most swim spas are convenient like a hot tub. They are normally littler than a pool yet sufficiently huge so you can swim. What’s more, best of all, it doesn’t cost to such an extent (as a swimming pool) to purchase and look after one. Need for speed is known for its street racing, Cop chases and customization and all of those things have been reviewed and will be talked about in this review today. So lets start with the feel of need for speed: Run, First loading the game and starting the campaign it got rate down to great action, interactions and stunning graphics. Need for Speed: Run definitely lived up to all of those expectations but did it really live up to the Need for Speed’s Reputation? Now that we got the Graphics, Action and interactions there was something that bothered me off the start of the game. Once you got to driving there was something off , I couldn’t drive…. but shortly after i found out that the game does not allow the option to change hockeys for movement or acceleration. The shift key was the acceleration as the arrow keys were to turn left and right and brake was down arrow key and as usual the space as a hand brake. The game turned me off at the point as i myself love the w.a.s.d movement option. Lets not turn away so fast! Though the controls changed for me i continued to play and shortly realised need for speed: run was quick to start the action is a high speed chase with a little twist i found myself falling in love with the twist which i will not say cause i would love everyone to experience that on there own. The action never stopped as the race’s got faster, The chases got more interesting. Until i hit my first read disappointment of the game. It seems we cant customize the cars like we could in most Need for Speed titles, Yes there is customization but we cannot do it our selves we must select the customization out of three types and several colours then we where to get back on the streets and race, Oh well at least we got a wide range of high speed and amazing exotic cars to select and unlock which brought up my confidence and had me playing much more.